Kids love to play and paint. Getting their hands dirty and making everything messy along with their faces is their favorite activity. And what better thing than watercolors to let them play with! But as we know, they use these colors for just fun which means that these expensive colors are actually stealing a lot of bucks out of pockets only to end up in mess. So how about you make your own paint that will not only save your pennies but also will use those things that are cheap and some that you were ready to throw into the trash? You will just need markers for this. Here we will tell you today How to Make Paint with Markers at Home. So get ready, because you are totally gonna love this. Have some dried up markers? Oh no, wait, don’t throw them away. To make your liquid watercolors you need dried-up markers, water, and few mason jars. Segregate the markers in similar color groups. Now, just put some water into these jars and then drop those dried up markers in them. The water will start absorbing the color as soon as you drop those markers in it. Stir the water and then keep it for a few days, at least for a week and you have your watercolors ready. Have some fun with the plaster of Paris using these craft ideas. 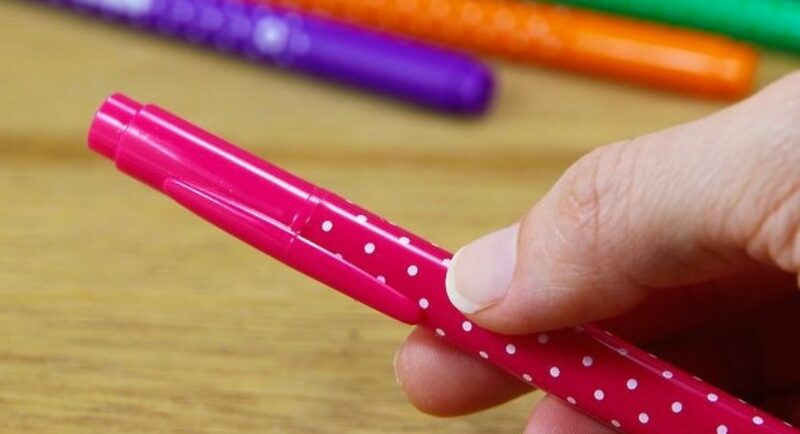 It might get difficult for you to pull out those ink inserts from inside of the markers. So you must have pliers ready. But even without pulling of these inserts you could make watercolors with the marker. Just make piles of different colored markers and then remove their cap. 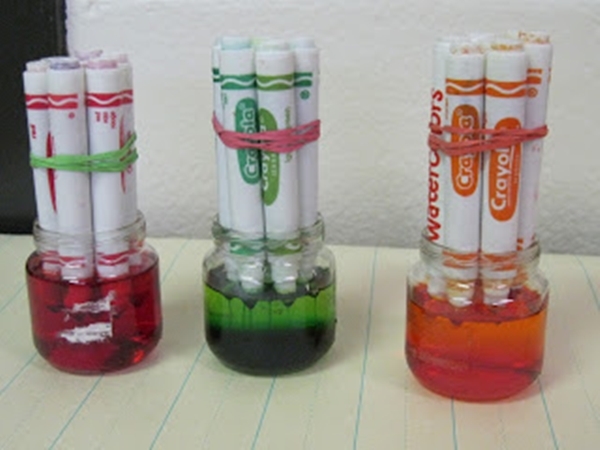 Now remove the tips of the markers and drop them in a small glass of water. It’s just that if you these tips along with the ink insert, you will get dense color and the effect will be better. Get more creative with the pebbles and stones! What? They were going in the trash anyway! So you just need to break them off and pull out those sponge inserts that contain the ink. Now what? It’s simple. You cut these sponge inserts into smaller pieces and then put them into the water and let them do their magic. But since we are ready to get messy, you could squish them until your heart’s desire. Just like that of the earlier process, you could store them in jars and use them after a week. This process is actually a step further than what we saw earlier. Do you like clay or would you like to play? Find out these amazing clay craft ideas here. What I would say is if you don’t want to break them and pull the inserts out, just turn them upside down. Well, for this process better use the filled markers rather than the dried ones. It’s just that it will be better and you will get dark colors at the outcome. But since we are leaching out every drop of ink, you could include the poor dried ones too. Also, make sure that you don’t take too much water in the jar. That will only make your paint very light. Now just form a bunch of the similar color markers and then dip their tips in the water and keep as it is for a longer time. I would prefer to keep it for a couple of days. You could use plastic bottles to store the paint. Yeah, you could use your dried marker directly on the paper to paint. All you need is the paper to be wet! Relax, I’ll tell you how to do that. Just take a paper and wet it with a sponge or a brush or better with a roller. Now try those markers, they will definitely work. Do you know how much fun you can have with the shells? I am never buying paint again! See, how easy it was to make paint from the markers at your own home. Adding a few more ingredients such a salt and flour to these watercolors, you can increase their density. Saves a lot of bucks and is fun to make. Go try them out!